Philanthropegie (“Philanthropegie,” “we,” or “us”) provides the Philanthropegie site at URL: (“Site”). The Site offers the services, including but not limited to the Philanthropegie database of resources, user ratings and various syndication services, and other information related thereto (collectively, the “Services”) to our users, whether they be nonprofits, organizations, individuals, readers of our blog, registered Philanthropegie members, or other visitors to the Site under the terms of service and use contained in these Terms (as defined below). “You” means the individual person entering this Agreement on his or her own behalf; or, if this Agreement is being entered on behalf of an organization, such as an employer, “you” means the organization on whose behalf which this Agreement is entered, and in the latter case, the person entering this Agreement represents and warrants that he or she has the authority to do so on your behalf. Please read the Terms carefully. By visiting, using or accessing Site and/or the Services, you agree to comply with and be legally bound by the Terms. If you do not agree with these Terms, you should leave the Site and discontinue use of the Site and Services immediately. These Terms apply to your access to and use of the Site and Services regardless of whether you register as a Philanthropegie member. We reserve the right to terminate your use or access to the Site and Services at any time for any reason, including, without limitation, if we learn that you have provided false or misleading information or have violated the Terms. Account. If you wish to register as a Philanthropegie member to make use of the Services reserved for members, you must read these Terms and indicate your acceptance during the registration process. Registering. Depending on what Services you desire to receive, you may need to register and become a Philanthropegie member. You will find registration instructions on the Site. Eligibility. By registering as a Philanthropegie member, you represent that: (a) all required registration information you submit is truthful and accurate; (b) you will maintain the accuracy of such information; and (c) your use of the Services does not violate any applicable law or regulation. Your member profile may be deleted without warning if we have reason to believe that you do not meet eligibility requirements. Username and Password. When you sign up to become a Philanthropegie member either to post ratings or to add resources to your library you will also be asked to choose a username and password for your Philanthropegie profile. You are entirely responsible for maintaining the confidentiality of your password and all use of your Philanthropegie username, password, and profile. You agree not to use the Philanthropegie profile, username, or password of another Philanthropegie member at any time unless expressly authorized by such Philanthropegie member. You agree to notify us immediately if you suspect any unauthorized use of your Philanthropegie profile or access to your password. Fees. If you are posting promotional material on the Site, you acknowledge that we reserve the right to charge for the Services and to change the fees from time to time in our discretion, upon notice to you at the then-current e-mail address stored in your Philanthropegie profile. Upon using the Services to post volunteer opportunities, you will be responsible for the payment of any applicable fees, and shall pay such fees to us. Term. This Agreement shall remain in full force and effect while you use the Site, Services, or are a Philanthropegie member. You may terminate your Philanthropegie membership at any time, for any reason, by sending an email to [email protected] We may terminate your membership for any reason, effective upon sending notice to you at the primary e-mail address you have stored in your Philanthropegie profile. Philanthropegie will provide you the Services chosen by you substantially as described on the Site. The Site and Services are made available for your personal, internal, non-commercial use. You may not frame the Site or Services, or make available, or facilitate distribution of Content through any means or medium. You may link to the Site from other websites if you obtain Philanthropegie’s prior consent. Please follow this link: http://www.Philanthropegie.org/corporations/contact to get more information about linking to the Site. 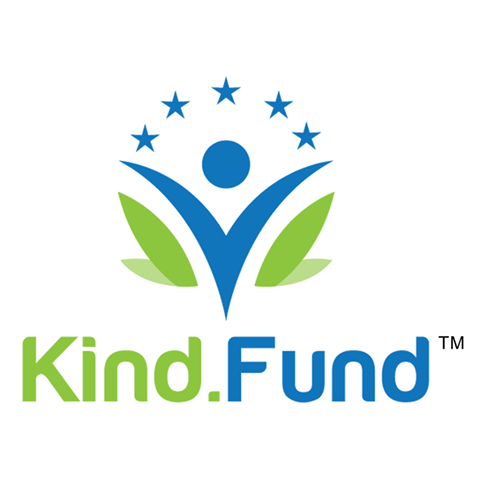 Some of the Services offered via the Site involve the distribution or syndication of Philanthropegie Content via downloadable widgets, RSS, or other technologies that allow the distribution or syndication of content authorized by Philanthropegie (“Syndication Services”). Some of the Syndication Services may be subject to separate or additional terms and conditions (“Additional Terms”). In the event that no Additional Terms apply to particular Syndication Services which you receive, the terms of this Section 4apply to your use of the Syndication Services. Philanthropegie grants you a non-exclusive, non-transferable, revocable, limited, non-sublicenseable license to (i) access and use the Syndication Services, (ii) download and install any software provided by Philanthropegie to you that is required to use the Syndication Services as contemplated by Philanthropegie (“Code”), and (iii) view the Content that Philanthropegie delivers to you via the Syndication Services, in each of the foregoing cases, solely for your personal, internal, non-commercial use of viewing or making available for viewing Content on a website owned or controlled by you. All rights not expressly granted by Philanthropegie to you are reserved. You acknowledge that the Code and its structure, organization and source code may constitute valuable trade secrets of Philanthropegie and its suppliers. Except as expressly allowed under the Terms, you must not (a) modify, adapt, alter, translate, or create derivative works from the Code or the Content; or (b) sublicense, distribute, sell, use for service bureau use, lease, rent, loan or otherwise transfer the Code or Content to any third party. You acknowledge that the Code and its structure, organization and source code may constitute valuable trade secrets of Philanthropegie and its suppliers. Except as expressly allowed under Section 5, you must not (a) modify, adapt, alter, translate, or create derivative works from the Code or the Content; or (b) sublicense, distribute, sell, use for service bureau use, lease, rent, loan or otherwise transfer the Code or Content to any third party. We are a distributor and publisher of content supplied by users of the Services and by other third parties (“Content”). Accordingly, we have no editorial control over such Content. Any services, offers, or other information expressed or made available by third parties as part of the Content, including information provided by other users of the Services, are those of the respective author(s) or distributor(s) of that information and not of us. We neither endorse nor are responsible for the accuracy or reliability of any Content, or opinion, advice, information, or statement made on the Services by anyone. We have the right, but not the obligation, to monitor and review the Content on the Services and your account to determine compliance with these Terms and any other operating rules established by us, to satisfy any law, regulation or authorized government request, or for other purposes. You understand and acknowledge that we do not monitor Content for accuracy or reliability. You are solely responsible for any information, comments, feedback, data, materials, photos or other content of any type or description that you provide or make available to us through or to the Site or Services, including any data entry forms found through the Site (“Your Content”), and we act as a passive conduit for the distribution and publication of Your Content. However, we reserve the right to remove Your Content if we believe Your Content may create liability for us. You represent and warrant that Your Content (a) does not infringe on any third party’s copyright, patent, trademark, trade secret or other proprietary rights or rights of publicity or privacy; (b) does not violate any law, statute, ordinance or regulation, including without limitation the laws and regulations governing export control; (c) is not defamatory or trade libelous; (d) is not pornographic or obscene; (e) does not violate any laws regarding unfair competition, anti-discrimination or false advertising; and (f) does not contain viruses, trojan horses, worms, time bombs, cancelbots, spyware, or other similar harmful or deleterious programming routines. You acknowledge and agree that Third Parties (as defined below) are third-party beneficiaries of these representations and warranties, and that they shall apply to them with the same force and effect as they apply to us. You hereby grant to us a worldwide, perpetual, irrevocable and royalty-free license, sublicensable through multiple tiers of sublicensees, to use, reproduce, modify, distribute, display, perform, and create derivative works from Your Content in any media or through any means now known or not currently known. You acknowledge that some of Your Content will be publicly available for other users of the Site or Services to view, such as feedback and comments. You are solely responsible for the content of Your Content. You acknowledge that Philanthropegie owns all right, title and interest in and to the Services, including without limitation, the Site, and all underlying software and technology, including without limitation all Intellectual Property Rights. “Intellectual Property Rights” means any and all rights existing from time to time under patent law, copyright law, trade secret law, trademark law, unfair competition law, and any and all other proprietary rights, and any and all applications, renewals, extensions and restorations thereof, now or hereafter in force and effect worldwide. If you are using the Services to find resources that you will later use, your correspondence or ensuing relationship with nonprofit and public service organizations, volunteers, partners, advertisers, sponsors or other third parties found on or through the Services – including posting or acceptance of volunteer opportunities, and any other terms or conditions associated with such dealings, are solely between you and such organization or volunteer. YOU AGREE THAT PHILANTHROPEGIE WILL NOT BE RESPONSIBLE OR LIABLE FOR ANY LOSS, COST, DAMAGE, OR OTHER LIABILITY OF ANY SORT INCURRED AS THE RESULT OF ANY SUCH DEALINGS, OR AS THE RESULT OF THE PRESENCE OF SUCH PARTIES ON THE SERVICES AND YOU HEREBY IRREVOCABLY WAIVE ANY CLAIMS AGAINST PHILANTHROPEGIE ARISING FROM OR RELATED TO YOUR RELATIONSHIP WITH AN ORGANIZATIONOR VOLUNTEER. Release. You hereby release us, our officers, employees, agents and successors from claims, demands any and all losses, damages, rights, claims, and actions of any kind including, without limitation, personal injuries, death, and property damage, that is either directly or indirectly related to or arises from (i) any interactions with other Philanthropegie users, or (ii) your participation in any offline events or activities arising from or related to your use of the Services. You agree that we, in our sole discretion, may terminate your Philanthropegie membership or other use of the Site or Services without prior notice, and remove and discard Your Content from the Site, for any reason and without prior notice, including, without limitation, if we believe that you have violated or acted inconsistently with the letter or spirit of the Terms. FURTHER, YOU AGREE THAT WE SHALL NOT BE LIABLE TO YOU OR ANY OTHER PARTY FOR ANY TERMINATION OF YOUR ACCESS TO THE SERVICES. You may discontinue your participation in and access to the Services at any time. YOU EXPRESSLY AGREE THAT USE OF THE SERVICES IS AT YOUR SOLE RISK. THE SERVICES AND SITE ARE PROVIDED ON AN “AS IS” AND “AS AVAILABLE” BASIS. PHILANTHROPEGIE EXPRESSLY DISCLAIMS ALL WARRANTIES OF ANY KIND, WHETHER EXPRESS OR IMPLIED, INCLUDING, BUT NOT LIMITED TO THE IMPLIED WARRANTIES OF MERCHANTABILITY, FITNESS FOR A PARTICULAR USE OR PURPOSE AND NON-INFRINGEMENT WITH RESPECT TO THE SERVICES. PHILANTHROPEGIE MAKES NO WARRANTY THAT THE SERVICES OR SITE WILL MEET YOUR REQUIREMENTS, OR THAT THE SERVICES OR SITE WILL BE UNINTERRUPTED, TIMELY, SECURE, OR ERROR FREE; NOR DOES PHILANTHROPEGIE MAKE ANY WARRANTY AS TO THE RESULTS THAT MAY BE OBTAINED FROM THE USE OF THE SERVICES OR SITE OR AS TO THE ACCURACY OR RELIABILITY OF ANY INFORMATION OBTAINED THROUGH THE SERVICES OR SITE, OR THAT DEFECTS IN THE SERVICES OR SITE WILL BE CORRECTED. YOU UNDERSTAND AND AGREE THAT ANY MATERIAL AND/OR INFORMATION DOWNLOADED OR OTHERWISE OBTAINED THROUGH THE USE OF THE SERVICES OR SITE IS DONE AT YOUR OWN DISCRETION AND RISK AND THAT YOU WILL BE SOLELY RESPONSIBLE FOR ANY DAMAGE TO YOUR COMPUTER SERVICES OR LOSS OF DATA THAT RESULTS FROM THE DOWNLOAD OF SUCH MATERIAL AND/OR INFORMATION. PHILANTHROPEGIE MAKES NO WARRANTY REGARDING ANY DEALINGS WITH OR TRANSACTIONS ENTERED INTO WITH ANY OTHER PARTIES THROUGH THE SERVICES OR SITE. THE ENTIRE RISK AS TO SATISFACTORY QUALITY, PERFORMANCE, ACCURACY, EFFORT AND RESULTS TO BE OBTAINED THROUGH THE USE OF THE SITE OR THE SERVICES IS WITH YOU. NO ADVICE OR INFORMATION, WHETHER ORAL OR WRITTEN, OBTAINED BY YOU FROM PHILANTHROPEGIE OR THROUGH THE SERVICES SHALL CREATE ANY WARRANTY NOT EXPRESSLY MADE HEREIN. YOU UNDERSTAND THAT TO THE EXTENT PERMITTED UNDER APPLICABLE LAW, IN NO EVENT WILL PHILANTHROPEGIE OR ITS OFFICERS, EMPLOYEES, DIRECTORS, PARENTS, SUBSIDIARIES, AFFILIATES, AGENTS OR LICENSORS BE LIABLE FOR ANY INDIRECT, INCIDENTAL, SPECIAL, CONSEQUENTIAL OR EXEMPLARY DAMAGES, INCLUDING BUT NOT LIMITED TO, DAMAGES FOR LOSS OF REVENUES, PROFITS, GOODWILL, USE, DATA OR OTHER INTANGIBLE LOSSES (EVEN IF SUCH PARTIES WERE ADVISED OF, KNEW OF OR SHOULD HAVE KNOWN OF THE POSSIBILITY OF SUCH DAMAGES, AND NOTWITHSTANDING THE FAILURE OF ESSENTIAL PURPOSE OF ANY LIMITED REMEDY), ARISING OUT OF OR RELATED TO YOUR USE OF THE SITE OR THE SERVICES, REGARDLESS OF WHETHER SUCH DAMAGES ARE BASED ON CONTRACT, TORT (INCLUDING NEGLIGENCE AND STRICT LIABILITY), WARRANTY, STATUTE OR OTHERWISE. IF YOU ARE DISSATISFIED WITH ANY PORTION OF THIS SITE, YOUR SOLE AND EXCLUSIVE REMEDY IS TO DISCONTINUE USE OF THE SITE. You agree to indemnify, defend and hold harmless Philanthropegie, its parents, subsidiaries, affiliates, officers, directors, co-branders and other partners (including third-party partners to whom Philanthropegie may provide Your Content (“Third Parties”)), employees, consultants and agents, from and against any and all claims, liabilities, damages, losses, costs, expenses, fees (including reasonable attorneys’ fees and court costs) that Philanthropegie or Third Parties may incur as a result of or arising from (1) Your Content and any information you (or anyone accessing the Services using your password) submit, post or transmit through the Services, (2) your (or access to the Services as you) violation of these Terms or applicable law, (3) your (or anyone using your account’s) violation of any rights of any other person or entity, or (4) any information or content we collect from third parties through the Site or Service at your request, or (5) any viruses, trojan horses, worms, time bombs, cancelbots, spyware or other similar harmful or deleterious programming routines input by you into the Services. Certain of the names, logos, and other materials displayed in the Services constitute trademarks, tradenames, service marks or logos (“Marks“) of us or other entities. You are not authorized to use any such Marks without the prior written consent of us or such other entities. Ownership of all such Marks and the goodwill associated therewith remains with us or those other entities. The content made available to you through the Services, other than Content and Your Content, including without limitation, text, databases, software, code, music, sound, photos, and graphics (“Our Content”), is (1) copyrighted by Philanthropegie and/or its licensors under United States and international copyright laws, (2) subject to other intellectual property and proprietary rights and laws, and (3) owned by Philanthropegie or its licensors. Our Content, and Content, may not be copied, modified, reproduced, republished, posted, transmitted, sold, offered for sale, publicly performed, publicly displayed, or redistributed in any way without our prior written permission and the prior written permission of our applicable licensors, with the sole exception that one copy may be downloaded onto a single computer for (a) your personal, noncommercial use if you are a volunteer or (b) your archival purposes, if you are a nonprofit or public service organization. You must abide by all copyright notices, information, or restrictions contained in or attached to any of Content. The Terms constitute the entire and exclusive and final statement of the agreement between you and us with respect to the subject matter hereof, and govern your use of the Services, superseding any prior agreements or negotiations between you and us with respect to the subject matter hereof. The Terms and the relationship between you and Philanthropegie shall be governed by the laws of the State of Arizona, without giving effect to any choice of laws or principles that would require the application of the laws of a different country or state. Any legal action, suit or proceeding arising out of or relating to the Terms, or your use of the Site or the Services must be instituted exclusively in the federal or state courts located in Maricopa County, Arizona and in no other jurisdiction. You further consent to personal jurisdiction and venue in, and agree to service of process issued or authorized by, any such court. Our failure to exercise or enforce any right or provision of the Terms shall not constitute a waiver of such right or provision. If any provision of the Terms is found by a court of competent jurisdiction to be invalid, the parties nevertheless agree that the court should endeavor to give effect to the parties’ intentions as reflected in the provision, and that the other provisions of the Terms remain in full force and effect. You agree that regardless of any statute or law to the contrary, any claim or cause of action arising out of or related to use of the Services or the Terms must be filed within one (1) year after such claim or cause of action arose or be forever barred. The section titles in the Terms are for convenience only and have no legal or contractual effect. This Agreement cannot be transferred or assigned by you without Philanthropegie’s prior written consent. The terms of this Agreement can only be modified as set forth in Section 3 or upon Philanthropegie’s written agreement.